HERE WE HAVE A GREAT LOOKING 883 SUPERLOW, BENEFITTING FROM HAVING THE 10K SERVICE JUST DONE USING GENUINE HARLEY PARTS AND A FULL MOT. IT HAS NOT EVEN DONE 150 MILES IN THE LAST YEAR AND THE HANDBOOK SHOWS THE 1 HARLEY STAMP ALONG WITH THE INVOICE FOR IT'S FIRST SERVICE. IT COMES WITH BOTH SETS OF KEYS AND FOBS AND HANDBOOK PACK. 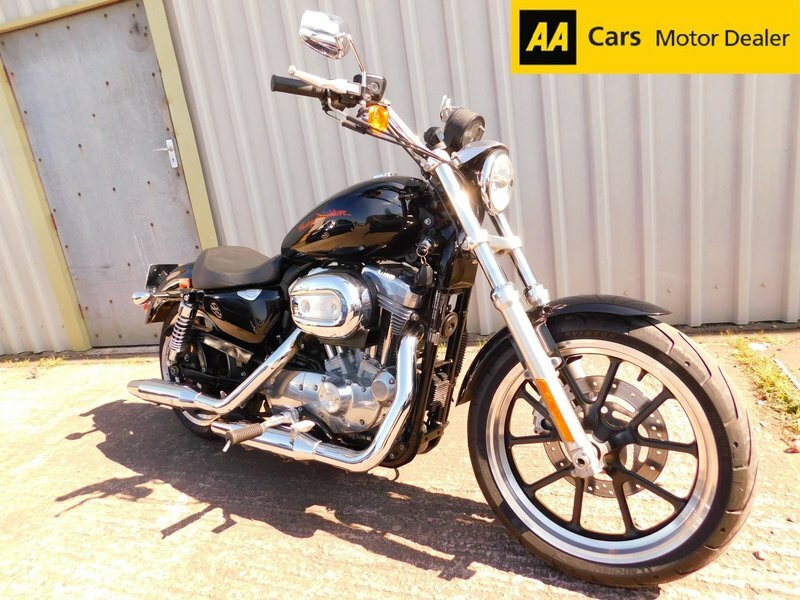 THE BIKE COMES WITH 12 MONTHS UPGRADEALE WARRANTY AND IT STILL HAS PLENTY OF SCOPE TO DO OTHER IMPROVEMENTS AND FOR YOU TO REALLY PUT YOUR STAMP ON IT, AND DON'T FORGET TO ASK ABOUT OUR FINANCE AND WARRANTY OPTIONS. NATIONWIDE DELIVERY CAN BE ARRANGED AT GREAT RATES.